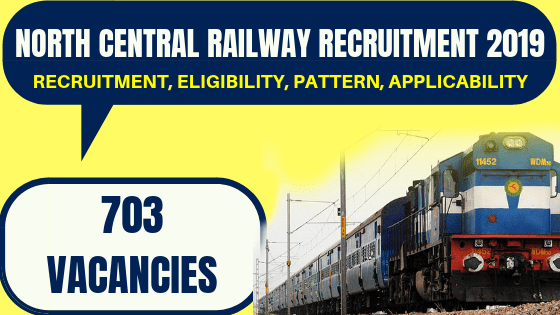 North Central Railway Recruitment 2018 – 703 Apprentice Posts Available Apply Now before 31st December 2018. North Central Railway Recruitment 2018: Railway Recruitment Cell, North Central Railway has come up with a new recruitment notification to recruit 703 candidates at Apprentice posts. The North Central Railway Jobs 2018 includes various posts like Fitter, Electrician and some other posts. The candidates who want to work in railway department can apply online before the last date. The last date to send application form of North Central Railway Recruitment 2017 is 31st December 2018. The candidate can download notification through the official website of North Central Railway Department that is ncr.indianrailways.gov. 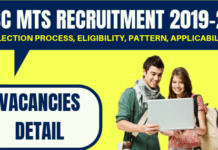 The other details of NCR Jobs 2018 are given below. About NCR: North Central Railway is known as the Workhorse of Indian Railways, which spreads across three divisions wise Allahabad, Jhansi, and Agra. NCR was basically established in April 1st, 2014, and now, it has released the recruitment notification for 446 vacancies of Apprentice. apply Online for the NCR Railway Jobs 2018 for Apprentice Posts, you should satisfy the eligibility conditions. Educational Qualification and Age Limits required to apply for each North Central Railway Apprentice Recruitment 2018 given in detail in the NCR Railway Official Notification PDF. The candidates who had passed the 10th/12th class with minimum 50% and an ITI Diploma trade from a recognized Industrial Training Institute affiliated to NCVT are eligible for NCR Jobs. In this section, you will find Step by step process of submitting the NCR Railways Online Application form at www.ncr.indianrailways.gov.in. Most of the candidates may face difficulties to understand the NCR Railway Examination 2018-2019 Apply Online process. So, here we have provided simple steps. Check out the North Central Railway Recruitment Notification 2018 PDF carefully for mandatory instructions and application dates. 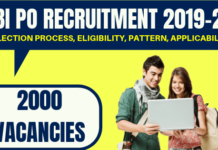 Firstly, Click on NCR Recruitment 2018-19 Apply Online Link provided below. 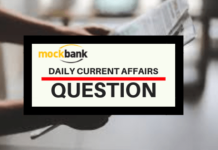 Fill in all the details asked in NCR Railway Application form. Upload scanned copy of your recent photograph (If Necessary). Finally, hit on submit button to complete NCR Railway Recruitment 2018 Process. To apply for the latest North Central Railway Recruitment 2018, all the General and OBC category applicants will have to submit a demand draft of Rs 100 as application fee in favour of Sr. DFM Jhansi and payable at Jhansi sent as an enclosure with the application. However, the noticeable thing is, SC,ST, Women and Physically Handicapped candidates are relaxed from the application fee. The selection of candidate will be completely based on the merit list, which will be maintained on the basis of matriculation marks. NCR is going to provide an opportunity to the candidates to work with them. Those candidates who meet the criteria of NCR Vacancy 2018 they can apply online by visiting the official website. The other details related to North Central Railway Recruitment 2018 are available on official website. Candidate frequently goes through it for more updates. For more query please contact us by commenting in our comment box. Next articleUPTET Result 2018 is Out for Primary and Upper Primary Teacher – Direct Link to Check!